Auto-focusing with the EOS R and new 50mm f/1.2 lens in near darkness was very quick and reliable thanks to the camera's amazing -6EV rating, allowing me to get on with the job of shooting in the very dimly lit futuristic environment of Canon's spectacular launch event. Getting the focus point in exactly the right spot is another thing altogether though - shooting at f/1.2 is already inherently problematic, and with so many AF points to choose from, the camera sometimes missed critical focus, for example when trying to focus on the iris of an eye. Still, it would be churlish to complain about the AF coverage, especially as it reaches all the way from the top to the bottom of the frame, and almost all the way from left to right - we'd estimate that you can select an AF point anywhere in about 95% of the total frame. Sadly Eye AF is a definite miss on the Canon EOS R, at least in this first full-production firmware version. It can be enabled or disabled as part of the Face Detect AF option, but I found that it simply wasn't reliable enough, sometimes quickly identifying the subject's eye but more often than not just not recognizing it and focusing on a completely different part of the face or even body. Eye AF seemed to work a little more reliably outside in bright sunlight, but if you've ever experienced Sony's amazing Eye AF, you'll be disappointed by Canon's implementation. Here's hoping they can improve it in via a firmware update. 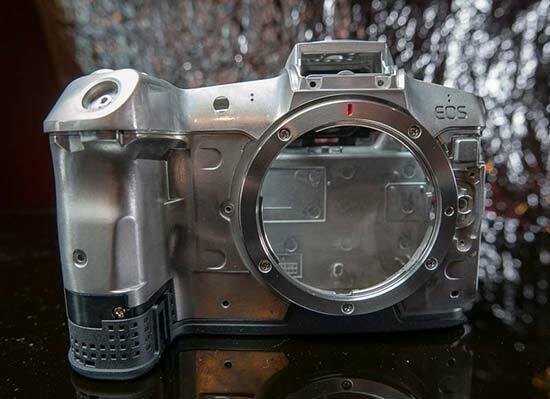 The EOS R's battery life was better than promised by its CIPA rating, running down to 25% after half a day shooting about 400 stills and 10-15 short video clips. We'd still advise adding a couple of spare batteries for an intensive day's shooting, but it's a rosier picture than the spec sheet suggests. 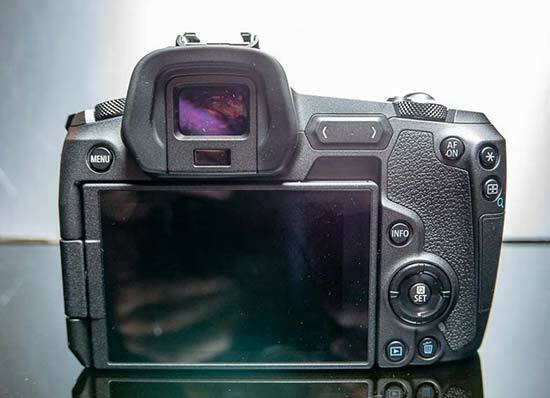 With no rear AF joystick on the EOS R, one of the main ways to set the AF point is by touch and dragging on the touchscreen LCD, an approach that we've seen on other recent mirrorless cameras. The Canon EOS R's implementation isn't as responsive as other's we've tested, though, so much so that I occasionally missed the shot as the camera didn't move the AF point quickly enough. I'd have much preferred a physical joystick instead, either in place of or in addition to the touch and drag method. 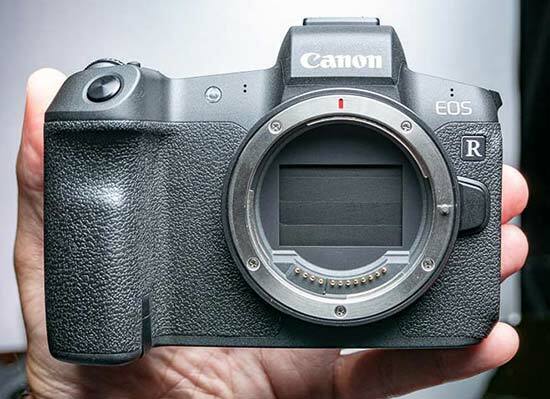 Canon have taken their usual decision to not include in-camera IBIS on the EOS R, instead making it available via specific, but not all lenses, just like on their DSLRs. With Sony and Nikon both implementing on-board IBIS, this is one of the key differences between the three 35mm full-frame systems. The most unfamiliar control on the EOS R is the new multi-function bar, something that I've not seen on any other camera, Canon or another brand. Sitting under your right thumb, it can be configured to control one of a multitude of key settings e.g ISO speed, and you can then change the setting either by swiping left to right along the bar, or by pressing the left and right buttons. Sounds useful, right? Maybe after a few more days using the camera, but in practice I almost completely ignored it, other than initially testing it to find out what it actually did. I'd have preferred an AF joystick and AE Lock button instead, both of which are missing on the EOS R seemingly as a result of including the multi-function bar. The less said about this the better, given the amount of online furore surrounding the Nikon Z-series, other than to clearly state that the EOS R has a single USH-II SD card slot. You'll already know if this is a deal-breaker for you or not. For me the new RF lenses proved to be more interesting than the EOS R body itself. 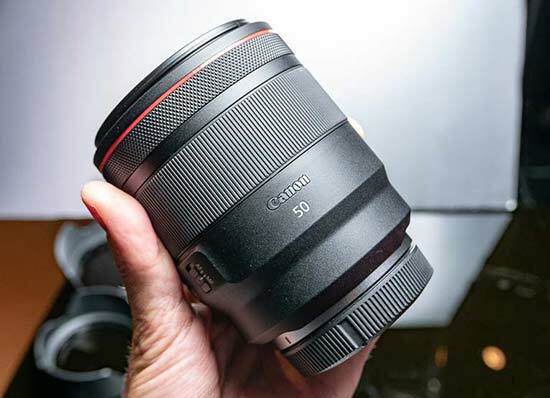 Canon have taken the opportunity of creating a new system that supports faster lenses than ever before in the shape of the RF 50mm f/1.2 and the 28-70mm f/2, making a real statement of technological intent and prowess. On the flipside, they are both physically huge and eye-wateringly expensive. This was another new feature that I didn't really use very much, again perhaps due to lack of familiarity. 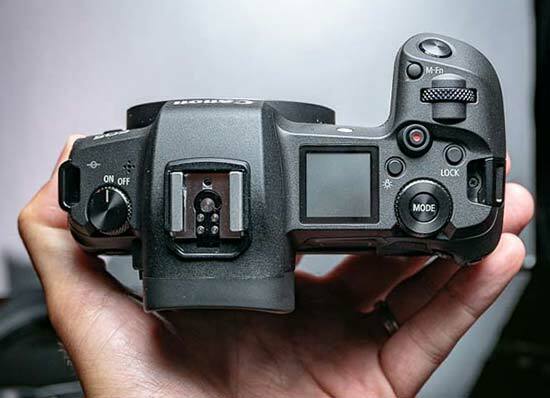 Similar to the control ring on some of Canon's Powershot cameras, it can be customised to control one of a number of key settings, usefully including aperture as per Fujifilm's XF lens range. I tried a couple of EF lenses on the EOS R using the dedicated adapter - the EF 85mm f/1.4 L and EF 70-200mm f/2.8 L. In practice they operated just like they do on a Canon DSLR body, so early signs are good if you have an extensive collection of EF glass, something that will be crucial for the success or otherwise of the EOS R.
As with the native lenses, though, Eye AF was too unreliable to use, so as it currently stands you'll get a better experience using Canon EF lenses on a Sony Alpha body with a Sigma adapter that by using the Canon EOS R with a Canon EF lens using a Canon adapter, solely thanks to Sony's flawless Eye AF. 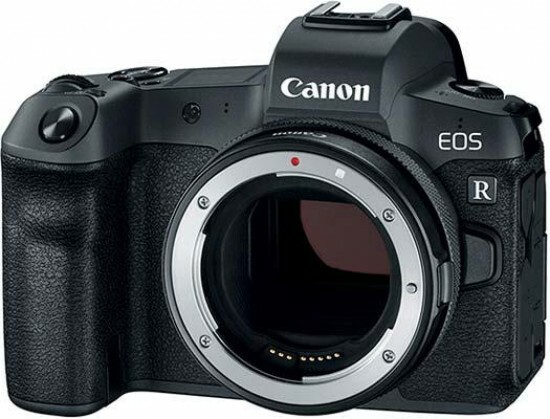 For stills photography, the Canon EOS R employs a 30 megapixel, 35mm full-frame image sensor, very similar to the one found in the EOS 5D IV DSLR camera. It's not that latest or greatest full-frame sensor around, but it does deliver excellent image quality in conjunction with the impressive new RF lenses. We've already shot an extensive gallery of sample JPEG and Raw images for you with a full production version of the EOS R which you can check out here, and we'll be bringing you even more sample images when we get our hands on a final review sample. For video, the EOS R can record 4K movies (3840x2160 pixels) at 25/24fps, with the excellent Dual Pixel CMOS AF system keeping accurate track of your subject. You can find some 4K and 1080p sample videos in our Canon EOS R Sample Images gallery. The EOS R is a promising first step into Canon's future, mixing together DSLR-design with some new features to create a unique take on what a mirrorless camera should be like. It's a world away from the early days of mirrorless, where the emphasis was very much on creating the smallest camera and lens system possible. Instead Canon have take the opportunity to make a reasonably sized camera with a mount that can support some seriously fast glass, albeit lenses that are just as big as their DSLR equivalents.